NBCSanDiego.com features a story and video on how some motorcycle riders use the practice of "lane splitting" to move through car traffic. If car traffic is stopped or moving slowly, some motorcycle riders ride between cars or ride on the side of the road to get by. Is this legal? It is in California under certain conditions and with caution. Laws may differ from state to state. Do you use your motorcycle to lane split? Leave a comment and tell us your story. Lane splitting is actually safer than if a motorcylist were forced to sit behind other vehicles as if the motorcycle were a car. I have witnessed (in Albuquerque) a situation where two motorcyclists who were not allowed to split lanes, were struck from behind by a careless driver. The reason lane splitting is safer is that a motorcyclist is keenly aware of the risk of proceeding and must therefore think not only for himself/herself, but also for the drivers in the queue. Since the vehicles proceeding to a stop are travelling fairly slowly, they are bumper-to-bumper, lane by lane thus making the risk of a sudden lane change very slim. Lane splitters will also split lanes when traffic is moving much faster and is more separated thus increasing this risk. Motorcyclists are taught to look for telltale signs of a sudden lane change such as a driver looking into the side view mirror, the movement of the driver's head, the lifting of the driver's head to look into the rear view mirror, etc. Although this is no gaurantee of safety, it is part of what a motorcylist must do to 'think for the other guy' in a situation like this. In my opinion, lane splitting is very safe when done properly by a safe and aware motorcyclist. It would be nice if the automobile driving public would understand what the risks are for people on bikes and extend a little lattitude. The bike will be gone quickly, and the motorist can then go about their wait in peace. I am 74 years old and I've been riding since 1957. I have taken the refresher motorcycle class more than once and I do agree with mike c that lane splitting is safe when done properly. I do it often when traffic is stopped at a stop light. I agree with mike in almost everything - HOWEVER - in freeway traffic I do not split lanes unless the traffic is completely stopped. And, I disagree with mike about watching for those small telltale signs in a side mirror or driver head movements as they are not true indicators of a drivers intentions, even in slow moving traffic. Particularly on the freeway where I see many vehicles suddenly change lanes without any indicator befre they swerve right or left. Even in my truck I've had to suddenly brake hard to avoid some impatient commuter that suddenly cut me off. I'm a fairly competent rider but had I been on my bike in some of thoee situations it would have been a toss up as to my either hitting or avoiding the suddenly swerving car. I am more aware of motorcycles than most of the non-riders and yet I almost took a biker out myself a couple weeks back when he split lanes in fast freeway traffic. I was in my pickup and this rider came past on my right side. I hit my signal blinker and stated to move right. Unfortunately that rider was in that little blind spot where I couldn't see him for just a moment. Fortunately for him, he was on a light sport bike and could move quickly to avoid me as I jerked back to the left. Had he been on a H-D or a heavier more traditional style bike -- he and I would have made the evening news. Lane splitting is not a problem with most bikers. The problem I see with lane splitting is usually with the mostly younger riders who think they are bullet proof and flash through traffic at all speeds. Of course, those are the same idiots who do wheelies in the middle of traffic and give the rest of us a bad image. 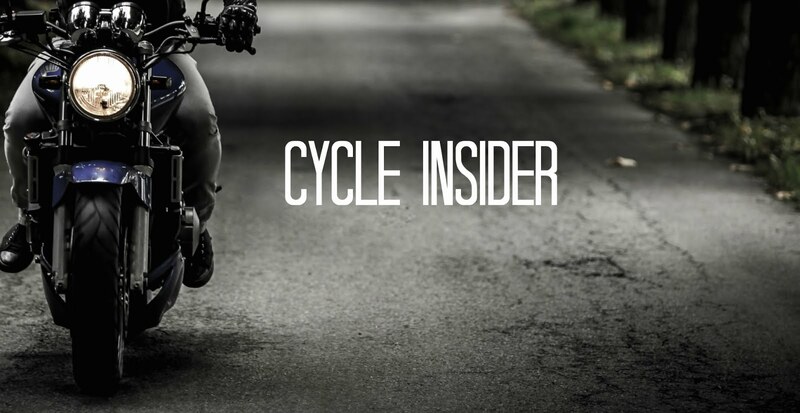 When you're buying a motorcycle you need to know about bikes, but you also need to know about how to buy a bike, and that has nothing to do with engines and manufacturing. One important detail where a lot of people that purchase motorcycles go wrong is getting the right loan.